Busyness is meaningless. What matters is consistently executing the work that actually matters. This book shows you how. One reason so few of us achieve what we truly want is that we never direct our focus; we never concentrate our power. 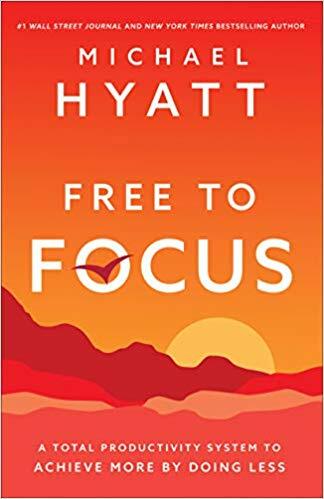 No one understands this better than Michael Hyatt, and he's engineered a new, easy-to-follow approach to harness this power in his new book Free to Focus. Michael Hyatt is one of the best leaders I know. Leaders rely on smart systems to help them lead in the office as well as at home, and Free to Focus provides the kind of system that every smart leader craves. Free to Focus will push you to use your time well and to become a better version of the person you were created to be. Great stories are thought through before they're written. Great lives are the same. Mike gives us a framework to plan our lives in such a way that we won't have to experience regret. This is a great book. HE REVOLUTIONARY PRODUCTIVITY SYSTEM TRUSTED BY OVER 25,000+ PROFESSIONALS.